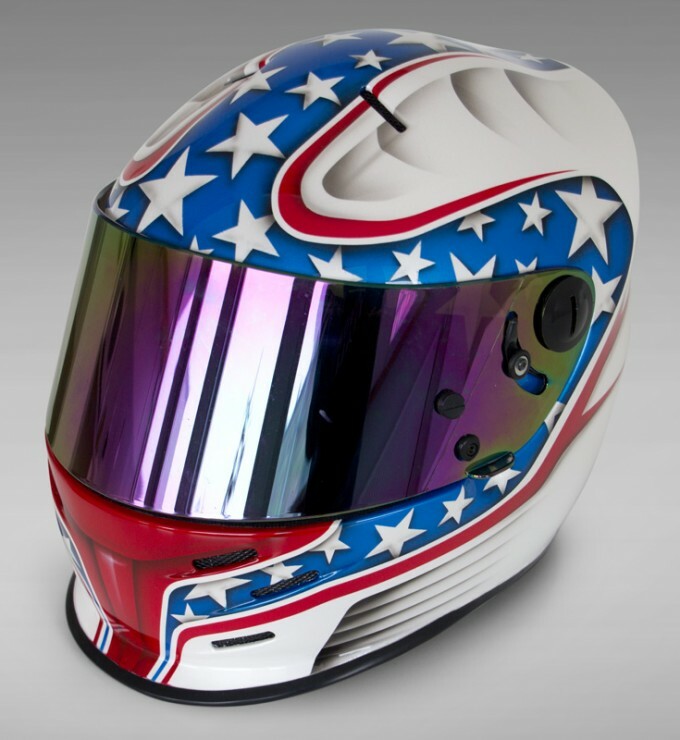 Airbrushed helmet for Peter Gramkow. The helmet is painted with Auto Air and Trident colors. White pearl, blue pearl with blue candy, red pearl with red candy.